Wader Quest: Duck hunting and waders in Victoria. Duck hunting and waders in Victoria. BirdLife Australia and the Coalition Against Duck Shooting have been fighting to get the Victoria duck shooting season stopped. They haven't been successful but they have at least managed to get certain sensitive and important sites closed for shooting, predominantly to protect the Blue-billed Duck. 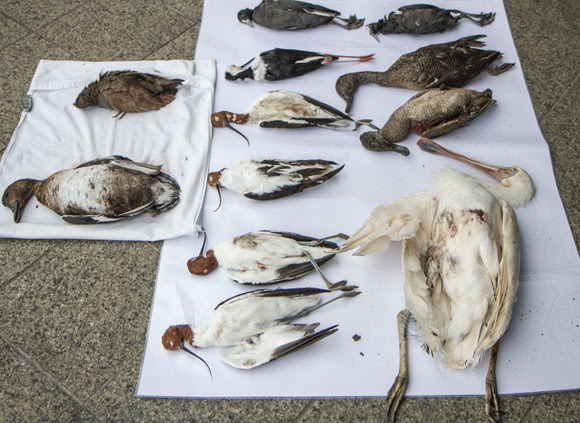 The Victorian Government astounded everyone this year when they announced a full shooting season with only limited restrictions, despite water bird numbers being at a record low, lower than in 2007 & 2008 when they were cancelled due to the low numbers of ducks. But it is not just straightforward direct shooting that is a threat and nor is it just ducks that get affected. There is a drought in the region at the moment, so the number of water bodies available to birds is reduced. This causes them to become concentrated at those that remain viable and this means that any disturbance will affect the whole bird community on that water body not just the target birds, the ducks. When disturbed these will get stressed and then may well try to find the next available water which may be a good distance hence some may well die in the attempt. Even when they do find that water there is no guarantee that they will not be disturbed there either. Surely when there is an environmental impact of this sort, with wildlife already stressed by a drought and numbers at an all time low, should this duck shoot not be suspended if not cancelled altogether as it has been in other states? 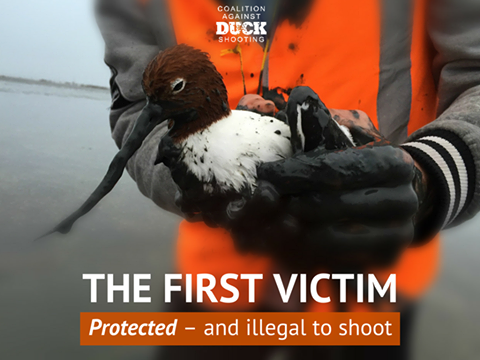 STOP PRESS: This photo, released by the Coalition Against Duck Hunting, shows a Red-necked Avocet that has been shot. It later died. There has been a lot of discussion about this shot with claims that it is false from pro-hunting groups their argument being that the bird is covered in oil. This oil is in fact mud. There was also a video released by the RSPCA Victoria that treated the bird showing the wounds. The Red-necked Avocet is a protected species and this evidence shows that shooters don't always know what they are shooting, or worse still don't care. If trusting the shooting fraternity to play by the rules isn't working, then isn't it time for a rethink?